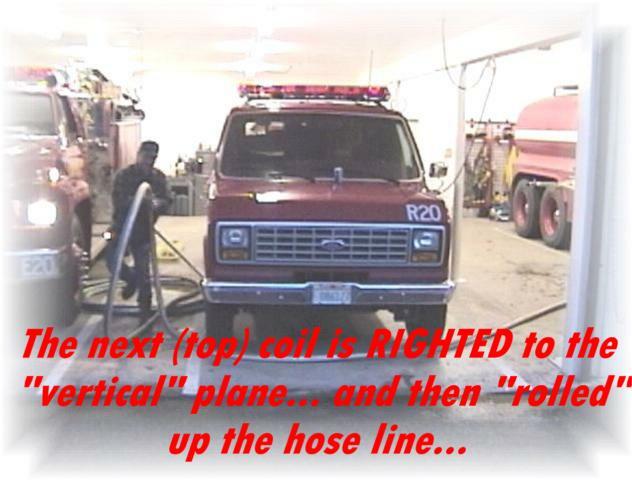 Every "Double-Donut" or "Service" roll must also be extended in this same manner... 50' laid down and back BEHIND the nozzle operator. This causes your crew to ALWAYS "DRAG" at least 50' of fully charged line! 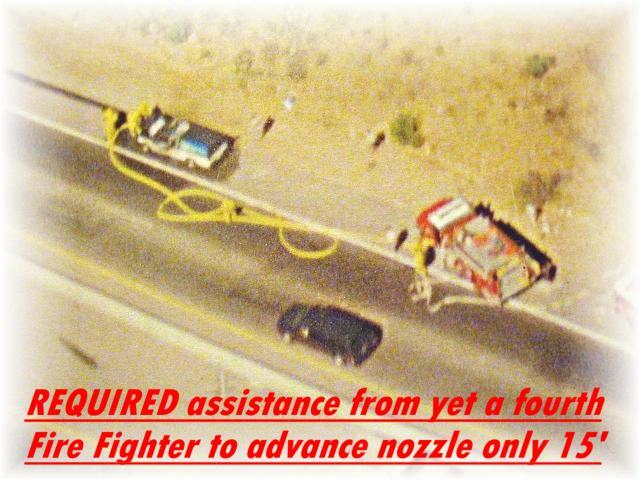 ...and most have no idea that's 1800' feet of DEMANDING physical effort just to advance only 1200' feet of hose?!? ...which then causes a CRITICAL SAFETY ISSUE: Your crew is REQUIRED to "split-up" because they MUST hand "baby-sit" the "grapling hook" (bight at the end of this length) which SNAGS on literally every SHARP rock, stump, etc., ...in its path! 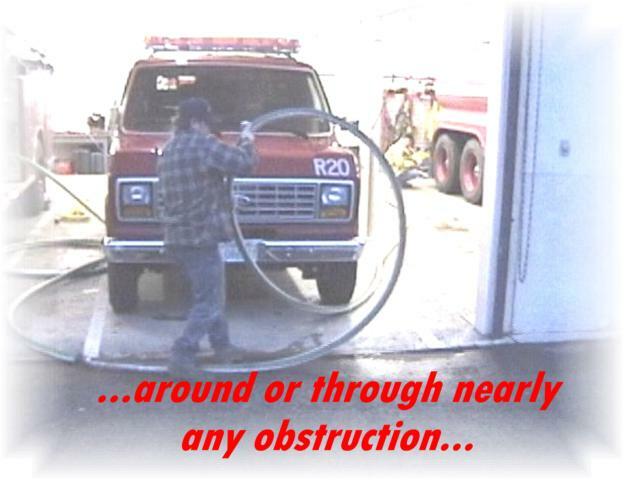 Not only does this cause incredible unnecessary "abuse" to the entire outer lining of your hose, but it also increases the Risk of Line Failure ...especially just prior to "Full" extension when your crew is at maximum RISK to Muscle and BACK STRAINS!. Note the white 1.5" Supply line between Engine-1 and Engine-2 above. This USELESS "double-donut" roll remains "Out-of-Service" because it has NOT yet been hand manipulated AGAIN to remove the countless "water-restrictive" kinks. The REQUIRED minimum 50+ foot linear distance simply wasn't available!?! Below is the application of a few neglected LAWS OF PHYSICS never before used in the Fire Service... that address literally EVERY ISSUE!!! 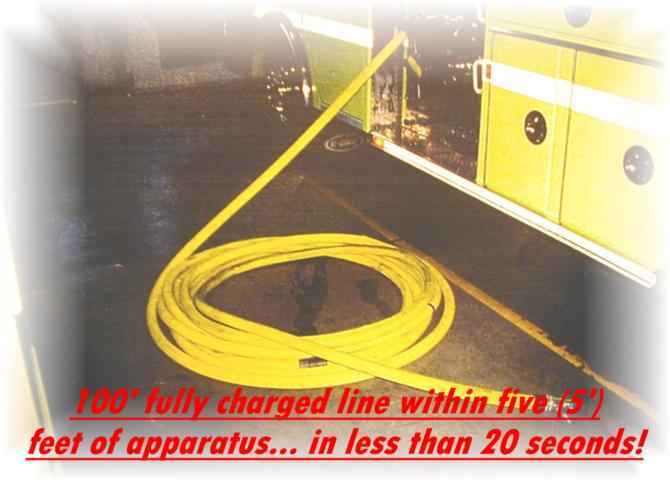 ...that requires four (4) personnel to "DRAG" over 65' feet of HEAVY fully charged line just to reach the seat of the fire less than 15' feet from where this line was first placed in service. 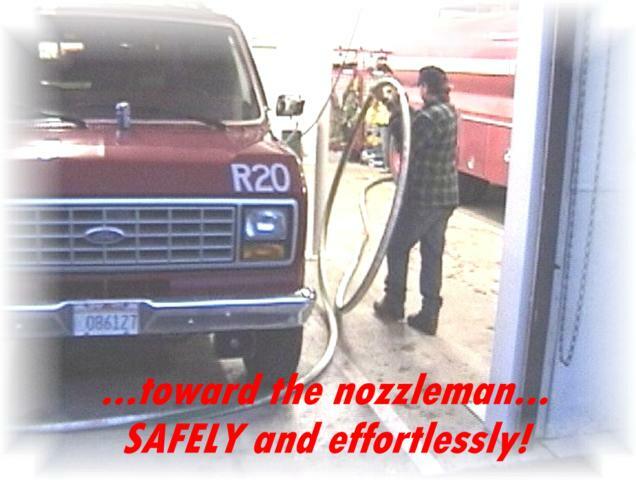 This is the SAFEST, most efficient "EFFORTLESS" hose deployment method ever! 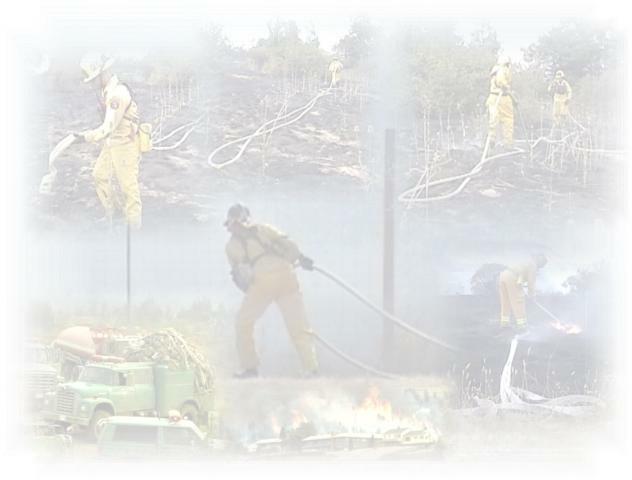 Regardless of the distance advanced/extended, every crew member can maintain their "dime" (remain w/in 10' of each other) as they ROLL literally 100's and even 1000's of feet of "CHARGED" line over and around nearly any obstacle ...including Right-Angle Turns ..and ALWAYS HAVE IMMEDIATE, "FULL-TIME" PROTECTION AT THE NOZZLE! Whether charging multiple lines in a high-rise stairwell... expecting (unrealistic) MIRACLES from Air-Support at a major wildland incident... or just advancing the nozzle a mere 10 feet to the rear of a charred room, you will always have the REQUIRED "Deployment Area" critical for the SAFETY of your crew ...and finally enough hose to do the job... effortlessly! A simple method that exponentially reduces Fire Fighter STRESS, Muscle and Back Strain and prevents the UNNECESSARY ABUSE and RISK of FAILURE to your ONLY line of Defense. The term "Hoseroller" is NOT a "noun," it's a "verb!" "HOSER" hoseroller is the answer! 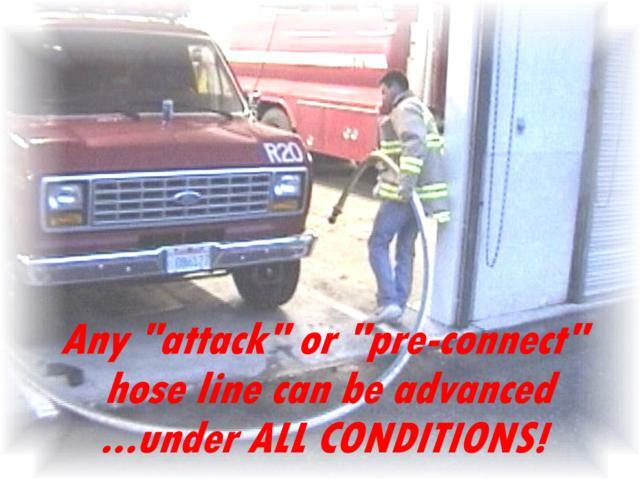 ...invented to REVOLUTIONIZE Personnel Protection through IMMEDIATE & STRESS-FREE hose deployment! ...and increase SCENE-SAFETY for your most valuable resource... your CREW!